The proper cellaring of wines requires a climate controlled environment that allow wines to reach their peak quality. Many wine experts believe that the temperature level for wine storage should range between 50°F to 55°F, and that the relative humidity should be somewhere between 60% and 75%. Finding the perfect balance between all of the elements (e.g. temperature stability, darkness, etc.) is essential to achieving the best wine storage conditions. Wine cellar cooling systems Los Angeles are considered to be the heart of wine room refrigeration. They are specially engineered to reliably keep the temperature and humidity at the optimum levels, allowing wines to improve their taste and flavor over time. There are three main types of custom wine cellar cooling systems: self-contained systems, ductless-split systems, and ducted-split systems. 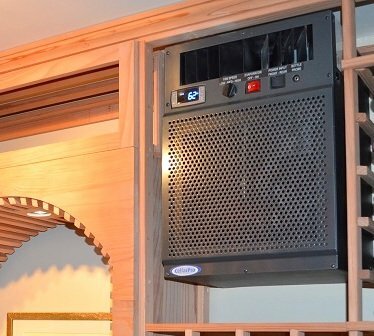 Each wine cellar cooling unit has a unique set of features that can suit any wine storage room, and address the cooling needs of clients. Self-contained wine cellar cooling systems are affordable refrigeration units that are designed for easy, through the wall installation. These cooling systems require a large, well-ventilated room, which hot air is vented into. The room must be adjacent to the wine cellar, and must not exceed 80°F. Self-contained refrigeration units can be installed without the assistance of an HVAC technician. 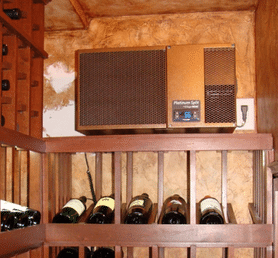 An alternative wine room refrigeration system is the ductless-split wine cellar cooling system. The cooling system condenser (the heat and noise producing component of the equipment) can be located remotely, while the evaporator unit is placed inside the wine storage space. Separating the evaporator unit from the condensing unit removes fan noise, and transfers heat exhaust to an adjacent room. This custom wine cellar cooling system does not require ductwork, as the units are connected by electrical wiring and copper tubing. Another alternative wine cellar cooling unit is the ducted-split system. The advantages afforded by this cooling unit are similar to those of ductless-split systems, except the ducting is required to circulate cool air into and exhaust warm air from the wine storage space. This refrigeration unit is designed to completely eliminate the presence of mechanical equipment inside refrigerated wine cellars. Thus, allowing enthusiasts and collectors to maximize storage capacity of their wine cellar, as well as adding to the aesthetic nature of the space. A heat load calculation is conducted by wine cellar designers and builders, in order to determine the best wine cellar cooling unit to suit the cooling needs of a particular wine storage space. Crucial factors, such as room size, the frequency of door opening/closing, and the location of the wine cellar must also be taken into account when choosing a climate control system. Efficient custom wine cellars are not only equipped with the right type of wine cellar cooling systems Los Angeles, but also constructed with the proper support infrastructure that will ensure the optimum performance of the climate control system. Poorly designed and constructed refrigerated wine cellars California can lead to refrigeration system malfunction, huge power consumption, and worse, irreversible damage to expensive wine collections. The four main problems associated with custom wine cellar cooling systems are the incorrect installation of vapor barriers, poor insulation, the incorrect choice of a wine cellar door, and installing the wrong type of lighting system. 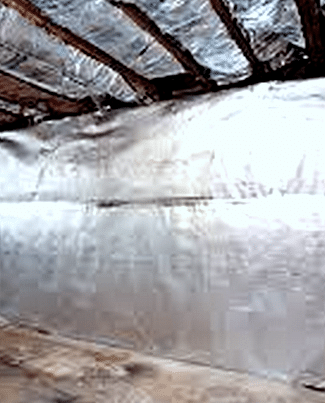 Incorrect installation of vapor barriers will result in moisture migration, due to the excessive humidity caused by the temperature difference between the climate conditions in a wine cellar and its outside environment. The presence of moisture in refrigerated wine cellars California can lead to mold growth, which can cause extensive and costly damage to wine collectibles, and to the wine room itself. Vapor barriers must be applied against the outside wall before injecting insulation into walls and applying the drywall. If placed incorrectly, the entire building envelope must be overhauled, which can prove too costly for wine collectors, since all components (e.g. wine racking, drywall, etc.) have to be completely taken down and reapplied. Wine cellar insulation must have the proper R factor, in order to be efficient in maintaining the desired wine storage conditions. Lack of, or poorly applied insulation can lead to unstable environmental conditions, causing wine room refrigeration equipment to run continuously, and to eventually overheat. To prevent temperature fluctuations in refrigerated wine cellars, proper insulation must be applied to the walls and the ceiling. Refrigerated wine cellars California should have a tight seal, to ensure that the optimum climate conditions are maintained. This is where wine cellar doors come in. 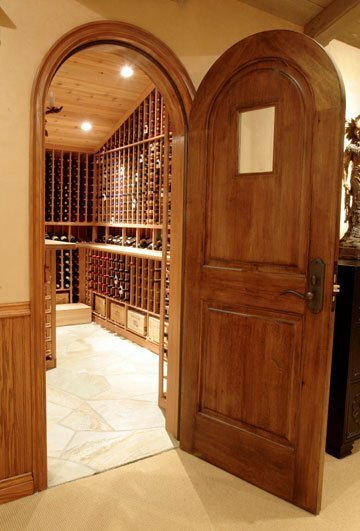 An effective wine cellar entry door must be of exterior grade quality, to withstand prolonged exposure to the environmental conditions maintained in refrigerated wine cellars. Additionally, high quality wine cellar doors are weather-stripped on all sides and include an automatic door bottom, to completely seal the room. An automatic door bottom has a retractable feature that prevents damage to wine cellar flooring. If the wrong type of entry door is installed, this can lead to outside air flowing in through small openings, causing wine cellar cooling systems to work doubly hard to stabilize the wine cellar environment. Wine cellar lighting provides a dramatic effect in a wine storage space. Lighting effects illuminate the space, and accentuate various areas of the wine room. However, severe problems can occur when the wrong type of lighting system is installed. Regular light bulbs, for example, produce too much heat. Hence, they are not ideal for climate controlled wine rooms. LED-based lighting is recommended, because it generates less heat, and is energy efficient. The addition of lighting controls, such as dimmer and timer switches, allows wine collectors to control lighting levels, and to minimize the amount of time the lights are on. These features not only help save energy, but also reduce the exposure of wine bottles to light. Integrating wine cellar cooling systems Los Angeles into the overall design and construction of a custom wine room is a crucial component of proper wine storage. A climate control system must be incorporated from the onset of designing and planning. This integrated approach ensures that all design and technical elements of a wine storage space will function as a whole, and thereby provide the optimum storage conditions for wines. 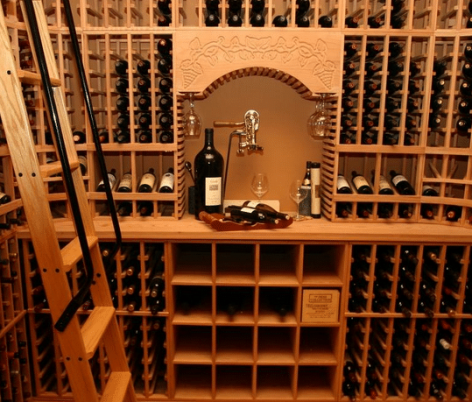 Contact M&M Wine Cellar Cooling Systems Los Angeles now for your custom wine cellar cooling needs.